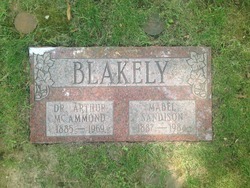 Dr. Arthur McAmmond Blakely was born on the 9th of August, 1885 in Madoc Twp. His parents John E. Blakely and the former Lavina Broad were farmers. He had an older sister named May and a younger brother named Fred. Dr. Blakely and his family moved to Chatham around 1905. Dr. Blakely graduated from Chatham Collegiate Institute, prior to attending university. Dr. Blakely graduated M.B. in 1916 from the University of Toronto Faculty of Medicine. He was the class president in his fourth year of university. Dr. Blakely interned at the Hospital for Sick Children. He was a lieutenant in the 24th Kent Regiment. 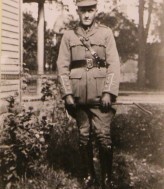 He enlisted in World War I in Chatham in May of 1916 and he was the Medical Officer for the 186th Battalion. He listed his next-of-kin, as his father, John Blakely who was living in Chatham at 84 Centre Street. On his Medical History Sheet completed at Camp Borden on the 12th of July, 1916, he was described as 5′ 71/2″ tall and 135 pounds. He served overseas during the war, as a Captain with the Canadian Army Medical Corp. Dr. Blakely was wounded at Bourlon in the Battle of Cambrai. His unit was decommissioned on the 24th of July, 1919. He married Mabel Wallace Sandison in Chatham on the 8th of July, 1919. The wedding was held at the bride’s home, 103 Stanley Ave. Mrs. Blakely was born in Raleigh Twp., on the 30th of January, 1887, the 4th of 5 children born to Samuel Sandison and the former Margaret Toll. Her siblings were; Cora, Maggie, Ethel and Adel. It states on their marriage record, that he was a physician and she was a teacher. 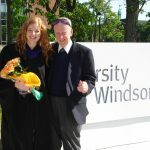 Dr. Blakely practiced in Chatham before moving to Windsor. According to the 1921 census, Dr. and Mrs. Blakely were residing at 34 Belle Isle Street in Windsor, Ontario (Essex County). 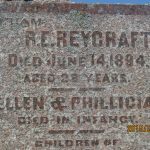 According to that same census, his parents were residing at 84 Centre St., in Chatham. 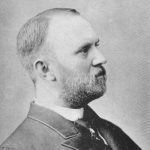 Dr. Blakely served as Chief of the Medical Staff of the Metropolitan Hospital in Windsor and he was a member of the Essex County Medical Society. By 1965 Dr. Blakely had retired and he was still residing in Essex County. Dr. Blakely died on the 13th of September, 1969. Mrs. Blakely died in 1984. They are buried at Fairview Cemetery in Niagara Falls, Ontario. *Dr. Blakely is also featured on the “Gathering Our Heroes” website.